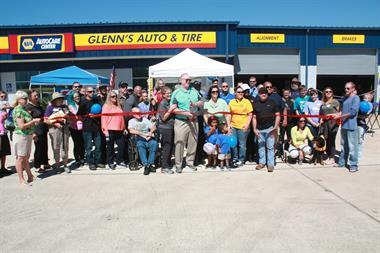 Monday through Friday 7:30 a.m. -5:30 p.m.
Glenn's Auto and TIre is a family owned and operated auto repair and tire (new and used) business. Our location is central to all Brevard County, located just North of 520 in Cocoa on US-1 . We service all passenger, light truck and most commercial tire applications. Full service auto repair is provided by ASE certified mechanics. Our tire techs and managers are highly trained to help you manage your second most valuable asset, your vehicle! Service is what sets us apart from the ''box store''automotive shops. Commercial fleeting and roadside assistance available. Highway safety impacts all of us. Let us keep your transportation safe and reliable. Check out our PINK GLOVES 101 classes. Great class for becoming a savvy auto service consumer! Walk-ins welcome, appointments recommended. We are an NAPA Auto/Care Center, giving you added value with NAPA auto parts and limited, nation-wide guarantees. Financing available. We are conveniently located on US1 (North Cocoa Blvd) half a mile north of 520, across from the Wells Fargo on the hill.